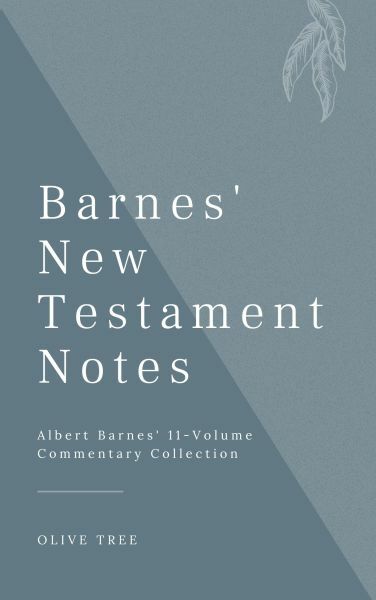 Barnes' New Testament Notes is a classic and well respected commentary from American theologian Albert Barnes. This resource is the combination of 11 separate volumes covering the entire New Testament. Barnes' expertly unpacks the New Testament text, verse by verse, in a way that makes otherwise complicated and difficult passages accessible. Introductions, including important contextual information, are offered for many of the books, and will further illuminate the meaning and purpose of the message. Barnes' New Testament Notes is an invaluable tool to add to your library and assist in the study of the New Testament.